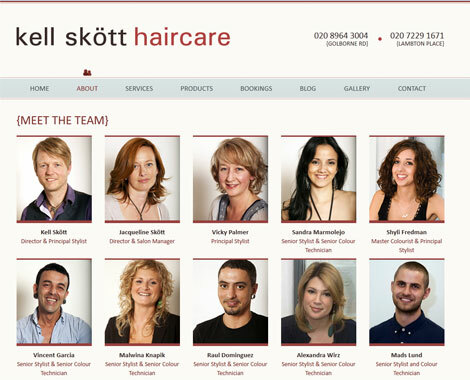 The home page has a clean and simplistic feel with a slider explaining different core values of the Kell Skött brand and presenting different high quality images to show off the visual side of the service. 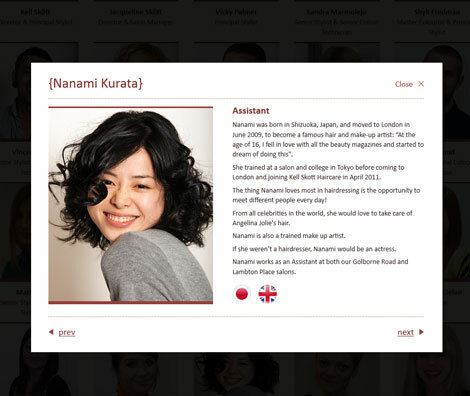 The site features a beautiful ‘meet the team‘ page, with a pop up light box that displays additional information about all of the staff members. 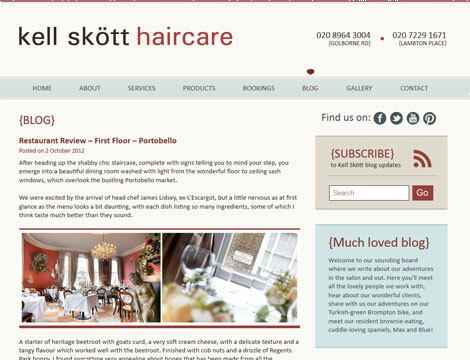 A blog page on the site is regularly updated with articles on a variety of subjects such as lifestyle, beauty and of course hair. 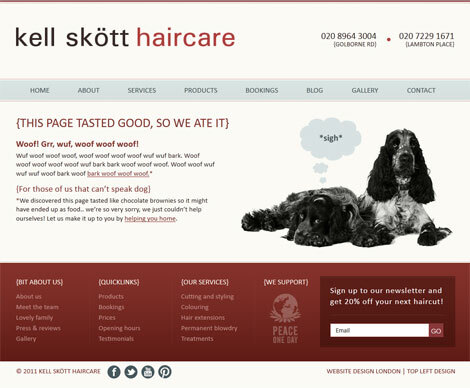 However, our favourite feauture of the site has to be the 404 page, which we customised to include Mr and Mrs Skött’s beloved Cocker Spaniels, embodying the warm and friendly spirit of the brand.